Give your home a touch of calming, natural beauty with this shower curtain. 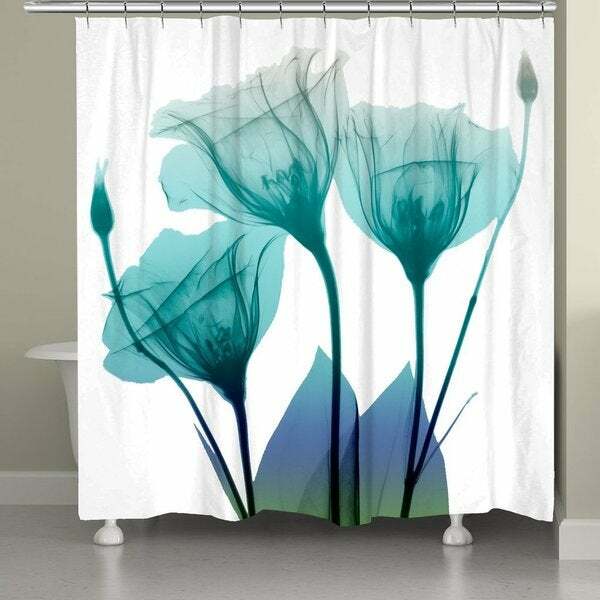 Featuring a gorgeous floral x-ray image, the curtain is made from durable, machine washable polyester. This shower curtain is a beautiful addition to my bathroom. Colors are true to picture. Nicely made. Excited to finish my newly remodeled bathroom with this last touch! "Can I get this in purple?" This is not available in purple. "I am looking for turquoise, does this shower curtain have any turquoise in it? please please"
This is a combination of aqua and turquoise.